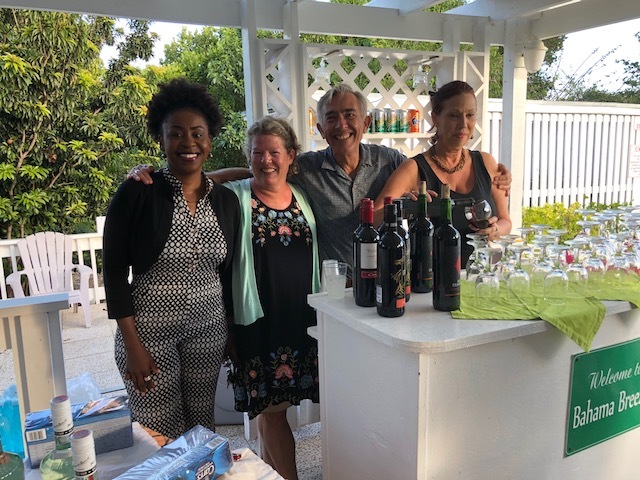 Diary of Eleuthera – good things happening ! It is so lovely for me when I can write about good things happening here in Eleuthera and this last week there have been a few ! 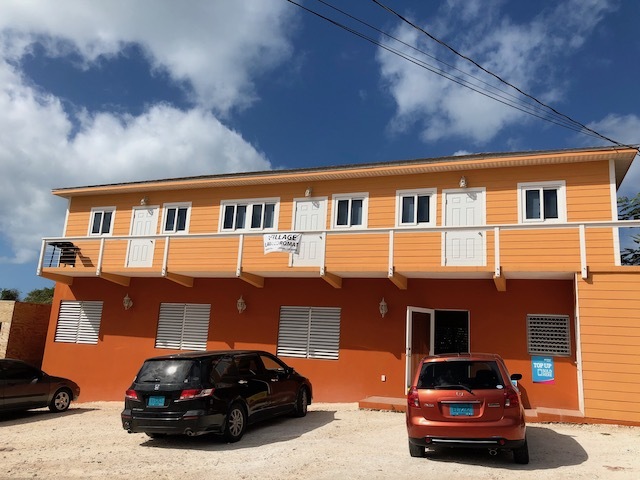 Firstly as you should remember from last week I wrote about the Eleuthera Community Healthcare Clinic – the lovely Dr Arlington Lightbourne’s place – well I have been brought up to date with news on the much needed generator. 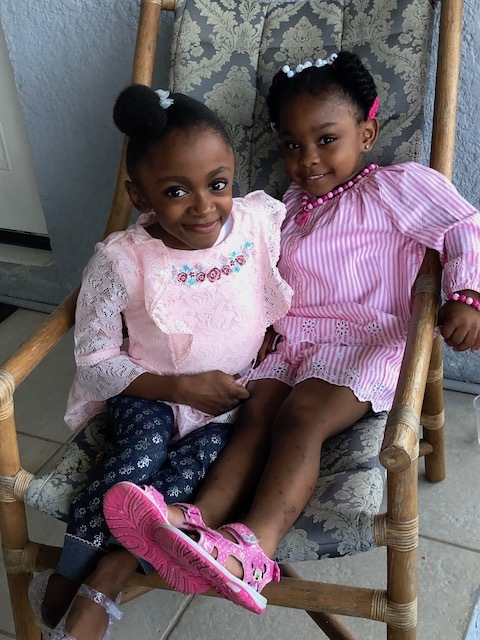 It has already been generously donated by Bahamas Ferries – through Craig and Michele Symonette. 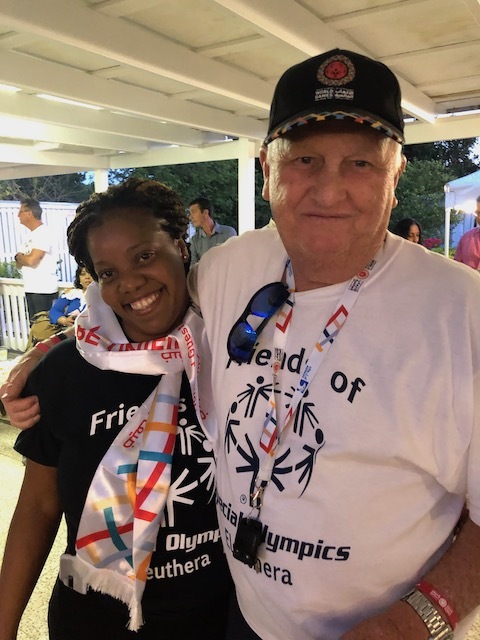 They live in Nassau but have a home here in Eleuthera as well – so they really understand the value of the facility we have here. Many grateful thanks to them for such a great donation – and no doubt it will arrive on a Bahamas Ferry along with all sorts of welcome produce that they bring in every week…… The attitude of helping out here for the benefit of the community is something we all value and treasure – huge thanks again to all concerned. The Art in the Park show was a great success last Saturday – the talent around is great to see….. One of the things that caught my eye was artwork done by by Stella the pig ! Yes really ….. Apparently she does abstract paintings with her snout – I saw them myself ! – check out her https://www.facebook.com/bahamapiglet/ Facebook page here ! You couldn’t make it up you know…..
Special guests Tamia Knowles and Azaria Bethel – looking so good ! Tony Crean does the most amazing job – backed up by his lovely wife Karen. His enthusiasm and drive inspire lots of people to help him in his endeavors. They are both members of our fundraising board. Next the wonderful Agatha Bethel of Hailsham’s Law office. She too is a brilliant organizer and board member – you remember I write every year about the sensational Christmas Party she organizes for the less fortunate children here. She has a huge heart – and again along with her husband Lorenzo they continue to make a difference here. 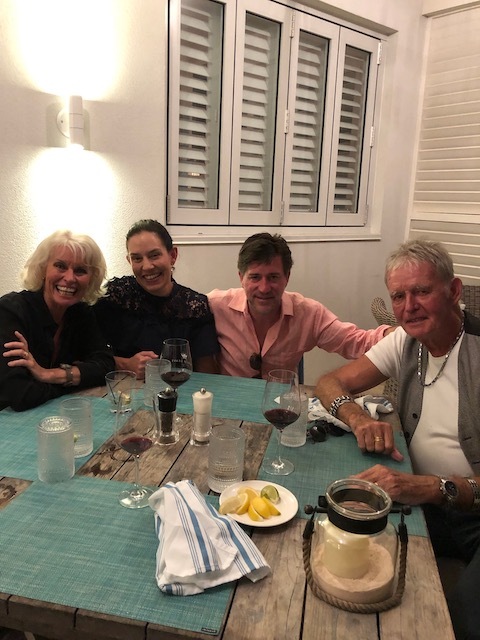 The picture at the top shows Agatha on the right of Tony along with me and Liz…..
Carl who works alongside Julian as ace barbecuers are also both board members as am I – so that’s the 6 of us. 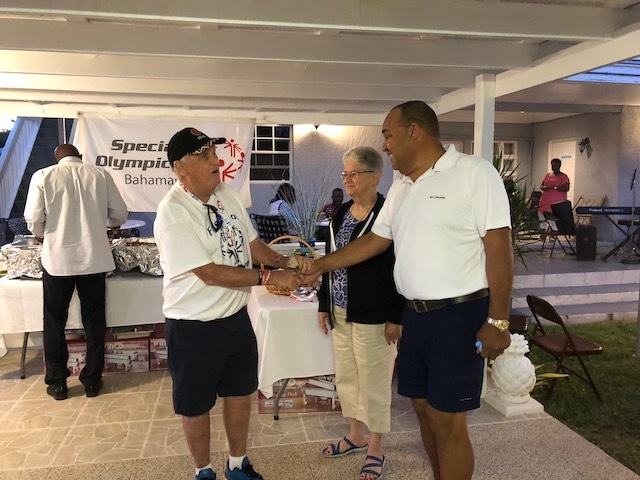 Special thanks as well to Peter Fletcher from Nassau – also a homeowner here – who quietly and without any fuss manages to get a generous charitable donation for us – he is one of those men that likes to stay in the background – but we see him lurking there and applaud and recognize his kindness. I am also this week going to write about the Village Laundromat – right here in Betsyville in Governors Harbour. I have been meaning to do this for weeks – but I always run out of space – but not this week ! It is very well equipped with both mega size washing machines and standard as well as plenty of driers. We use the laundromat – owned by local entrepreneur Sonja Gardner – to do much of the laundry for both Governors Estate and Anchor Point. They are fast and efficient and fold the sheets beautifully – as few creases as possible – just how I like it. Even if you have your own washing machine here – it is the perfect place to take a large bedcover that is too big for your own machine. Village Laundromat – hard to miss ! 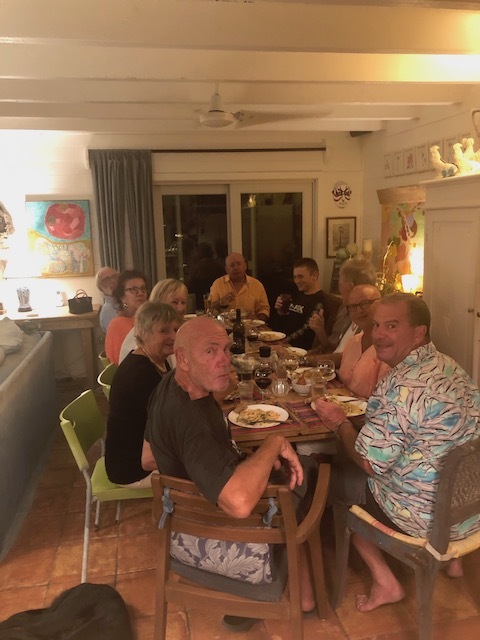 Finally thanks to Dan and Larry for another delicious meal last week – they are amazing generous hosts – just a quiet night for 12 when we went last Friday !! A lovely night at 1648 meeting up with Schuyler and Patrick McBrien – owners of rental house Tir Na Nog – hadn’t seen them for years so lovely to spend a couple of hours catching up on things…. Indi returns to London from Eleuthera and All That Jazz. A quiet evening? I couldn’t hear myself think over all that chewing and moaning!!! Ha ha – and that was just me !